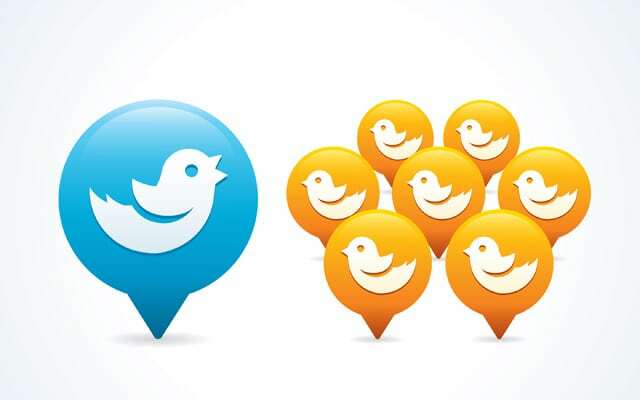 Home > WordJack Media Marketing Blog > How Suitable Are Twitter Ads (or Promoted Tweets) for Local Businesses? At WordJack, we’re often looking at new web marketing techniques and their potential for our clients who are small & medium local businesses. 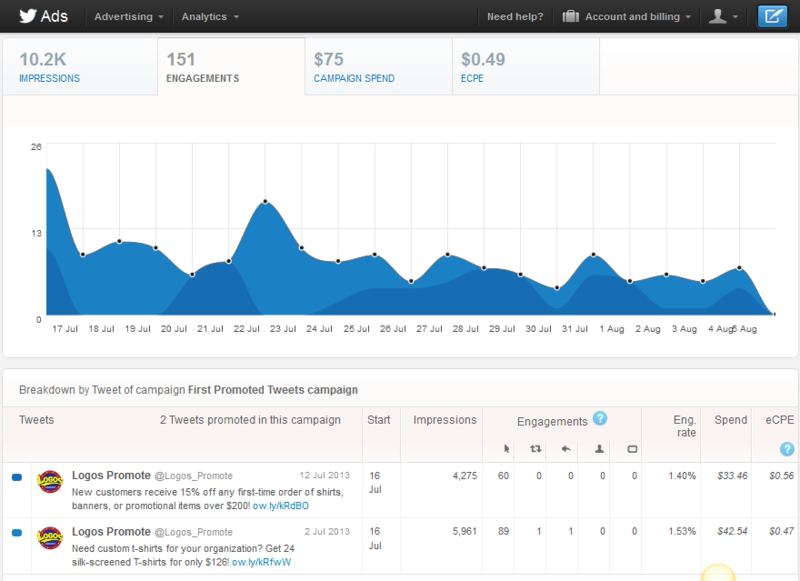 This is a quick run-through of the Twitter advertiser experience for a small business. 5. Do all this with a local business advertiser in mind – think about an attorney, bathroom remodeler, or dentist whose audience is people in their local area. I dedicated $200 and 4 weeks to this simple test to see what I could learn. To begin, I went to https://ads.twitter.com and signed in using an existing Twitter account. You would not advertise in isolation of your Twitter activity (as you could do for, say, Facebook), so it’s intentional that you sign in using the ads dashboard in the same account as your regular Twitter activity. 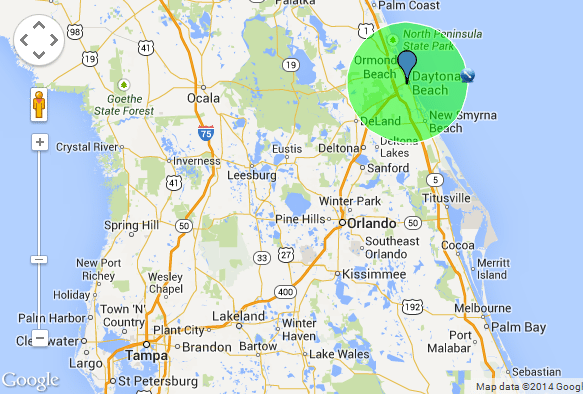 We know that someone with a back injury (or anyone really) won’t leave a larger market like Orlando to visit Daytona Beach for a chiropractor, let alone drive all that way up from Melbourne. I know what you’re thinking at this point – Twitter is not a locality dependent platform and is better used for discussion/sharing around topics & interests. That’s true. But they are offering advertising now, and I’m assessing the opportunity for local business. So let’s keep going . . . Targeting by device, gender and specific Twitter name were additional options. Twitter name may be an interesting option for getting in front of “influencers” in your industry – opportunities for valuable retweets. I know that point doesn’t need to be made, and of course, you only have interests to go by on Twitter. A business owner must decide which of the various platforms out there to spend their finite advertising dollars on. Often the decision comes down to how well the platform lets you identify your ideal customer. If your audience is well-defined by a hobby or interest (for example, a motorcycle accident attorney who is a biker himself and a champion for motorcyclists’ rights), this targeting could make Twitter a good fit. The ad is effectively just a tweet. You can write one especially for the campaign, or select a recent tweet. This is the reason you’d run the ads on the same account you post tweets from – the 2 are inseparable in the concept of promoted tweets. 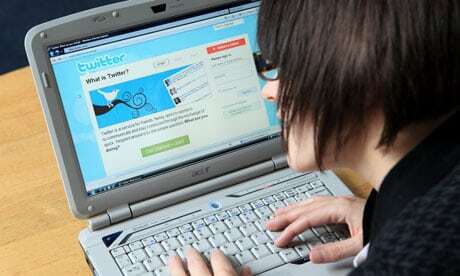 In this respect Twitter has taken a similar approach to Facebook – they are aiming to make the process of starting a campaign as basic as possible for anyone to do. Campaigns can be set to a max spend per day. You enter a bid based on cost per “engagement” (CPE). This includes clicks, retweets, follows, and replies. For example, you may want to spend $4 per day and bid a max of $1.50 per engagement. 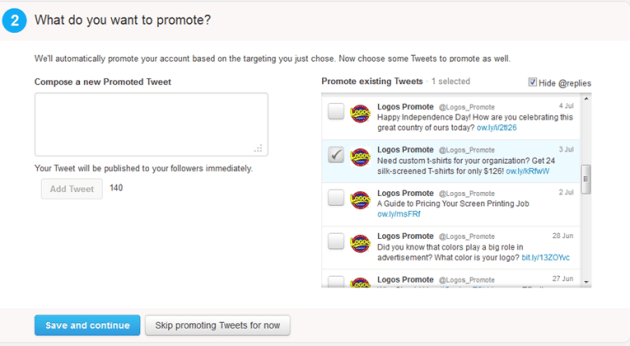 Note: there is also a promoted account option with a “price per follow” bid (recommended > $2.50 CPE). I did not test this option. For my test, I opted for a more direct-action tweet (an offer with a call to action) than content that was sharable or funny. I ran the campaign for 2 weeks to get some initial results. All actions for promoted tweets were clicks to the link. On Google Analytics, there were no source referrals from Twitter, but a lot in the “direct” category that were unexplained (going to address this next). No real retweets, replies or follows resulted from this basic test (but it’s important to note that these are tracked on the dashboard and are part of the key “actions” that Twitter ads offer). I was effectively getting clicks @ $0.49 each and CTR (engagement rate) between 1.4 and 1.53% — I actually found these click-through rates reasonably decent compared to what I’ve seen on AdWords and BING. I took a benchmark for the engagement rates on my 2 offer landing pages. They ordinarily have engagement at 2:09, and 0:39 average time on-site, respectively. This offers a stat we can use to assess whether the Twitter ad traffic provided anything more or less engaging than this. I ran the ads again for another 2 weeks with the tracking code included. Now that I can separate promoted tweet traffic from other traffic, note the difference in engagement levels – down to 2 seconds on site from 15 engagements. Note, total traffic volume was limited to daily budget since “engagements” (clicks) was capped at $2 each and daily budgets were set, so don’t look at traffic totals as an indicator of success). Again, I want to reiterate my point from earlier: this is not an exercise in the effectiveness of Twitter advertising. This is purely an exercise in commenting on the options available and whether there are opportunities for small businesses. 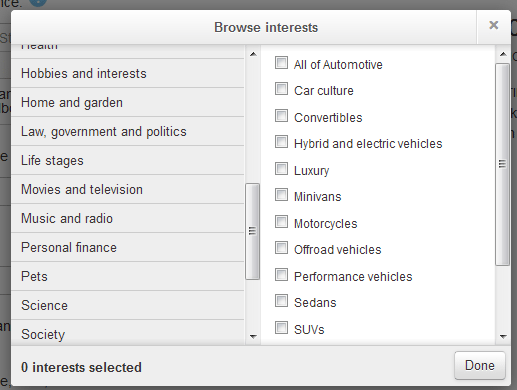 LIKED – The granularity available in targeting by hobbies and interests. I feel that a local business that can target their ideal customer based on a hobby or interest is well served by this targeting. LIKED – The fact that you don’t pay for engagements that occur after paid events (e.g. clicks from an RT are free – you just pay for the original RT). DISLIKED – In my example of a direct call-to-action (“click here” is effectively the CTA) ad, the RT/follow actions were virtually non-existent. In this case, I was essentially using Twitter as a PPC marketing platform, and I feel you can source better-value PPC elsewhere. The other point here is that it may be better used for share-worthy material or promoted accounts to gather followers (untested). DISLIKED – The high prescribed rate for minimum bid per action. 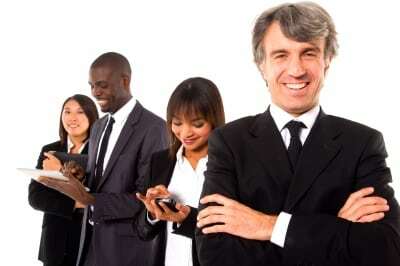 Having said that, it’s a lot like LinkedIn, where you can bid the minimum and use your budget, no problem. I suspect this is a common approach for immature ad networks that are still working toward building bid competition amongst advertisers. I expect it will change in time. Overall, I think Twitter advertising is well-suited for businesses that target people in a large geographic area and can target by interests. There is definitely branding opportunity if you aim for free impressions with no link for clicks (thereby not spending any money on click-throughs). But that’s just my very quick assessment with a limited sample. What are your impressions and experience of Twitter’s promoted tweets ad product?